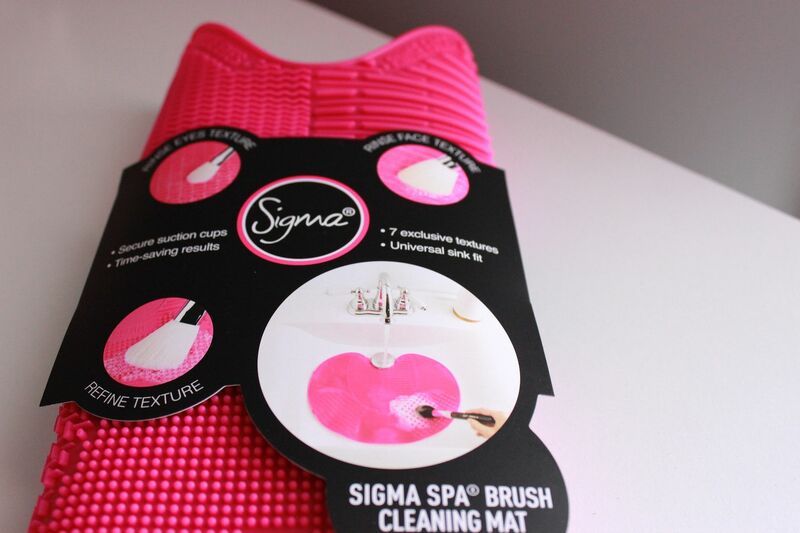 I have waited on the Sigma Spa Brush Cleaning Mat for months! And I finally have one! I first heard about the mat when they did a super cool instagram campaign and by the time I clicked over to their site, the bad boy was completely sold out. So I joined their wait list and got an e-mail letting me know when it was back in stock and I am so glad I did! Because sadly, the mat is out of stock again!!! Click this link to get on their VIP waiting list. 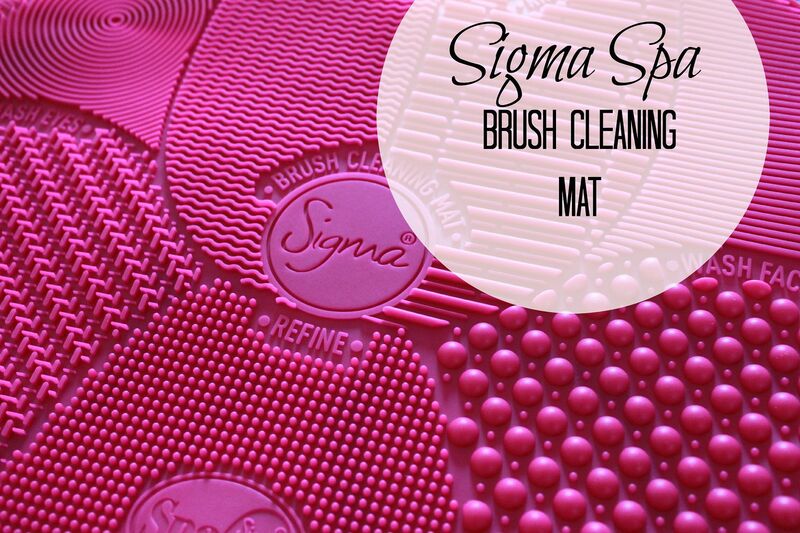 The Sigma Spa Brush Cleaning Mat lives up to its hype for sure and there is a reason it keeps selling out!!! 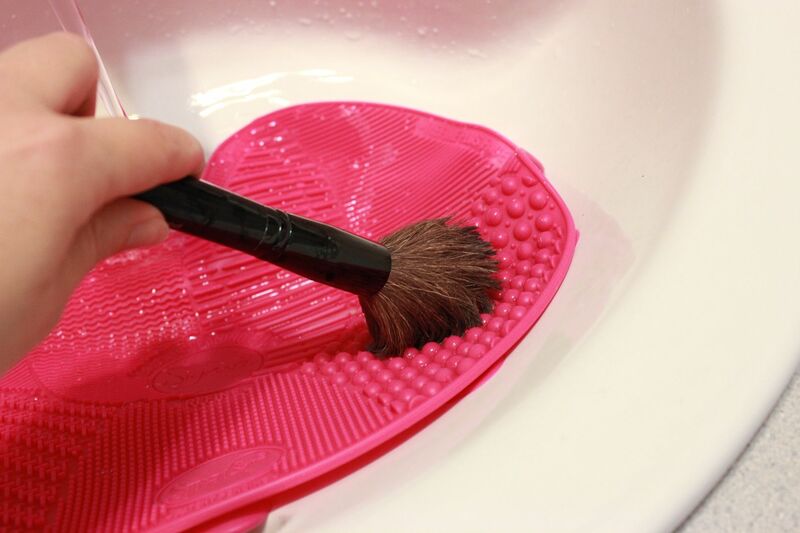 I have always been a fan of regularly cleaning your makeup brushes - hello, get rid of that bacteria and say hello to clear skin - but if I have a lot of brushes to clean, it can take awhile. 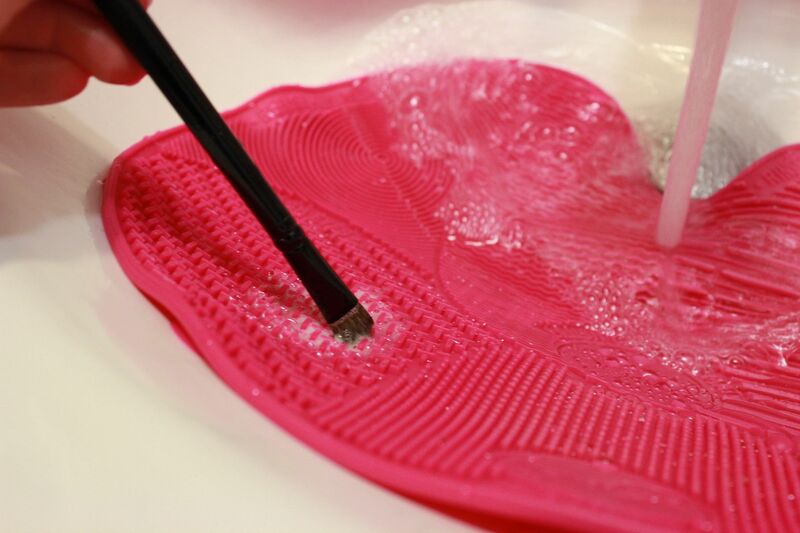 (Click here for my tutorial on how to clean makeup brushes if you don't have a spa mat) Well this mat cuts my makeup brush cleaning time in half! I love that the mat can fit in almost any size sink and that the water runs right over the mat to optimize your cleaning time. I also love that everything washes right down the drain, no need to have to clean extra bowls or cups too! Clean up after cleaning :) is a breeze. 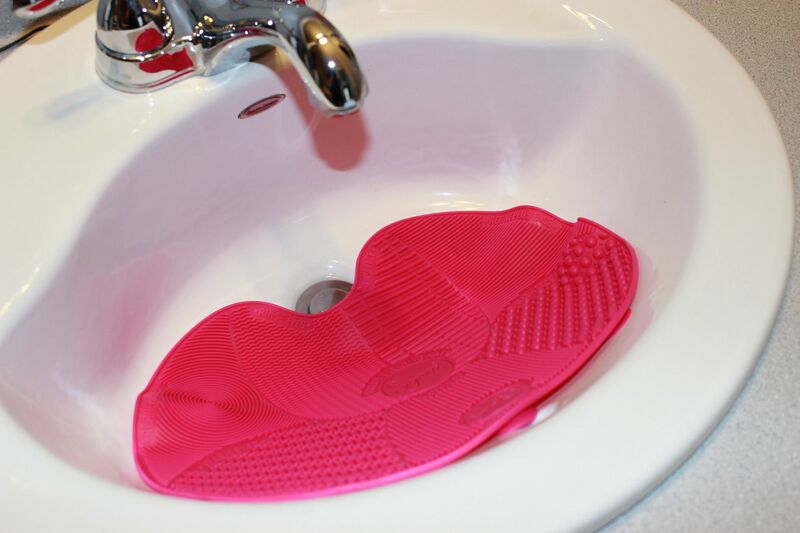 And the mat has great suction cups on the back, so you don't have to worry about the mat slipping while you use it. Because there are so many ridges and textures, I really feel like my brushes get a thorough cleaning. In fact the water runs clear relatively fast, letting me know that my brushes have all of the gunk washed out of them. I really like using the spa mat for my smaller brushes (i.e. for my eyes and lips) because I felt like they looked like new when they were cleaned and dried. The mat can still work for bigger brushes, but I felt like I had to do a little extra cleaning and squeezing more so than with the little brushes. All in all, this is one purchase I am so happy I made. 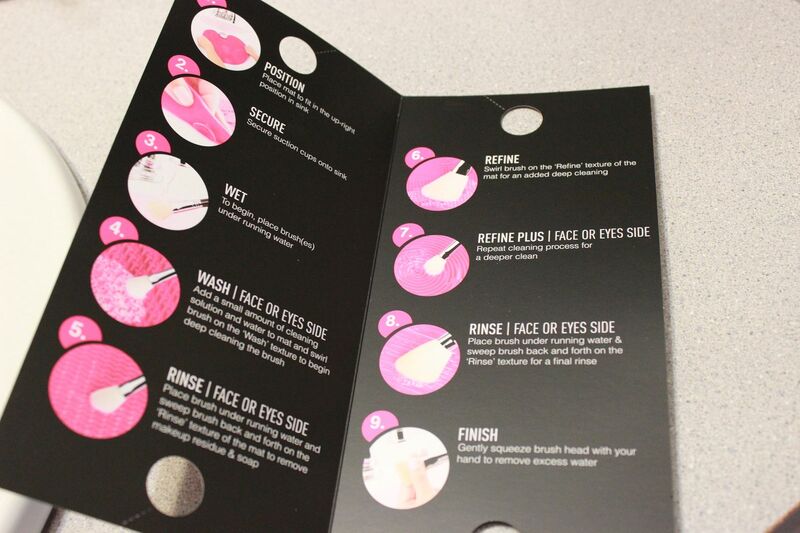 I can seriously wash my 15 brushes (yes I use that many) in about 5 minutes. Easy peasy and it is all done!!! 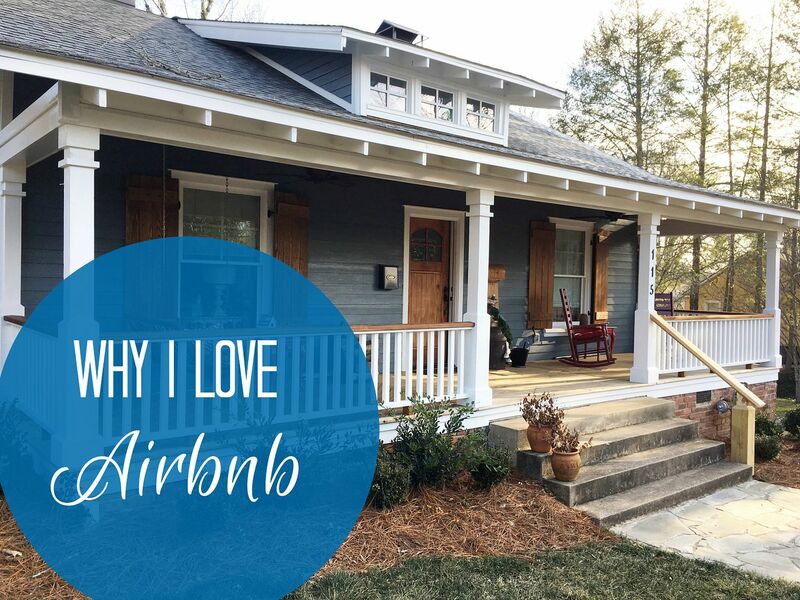 If you have any questions, feel free to ask in the comments below. I'll try to alert you as soon as this mat comes available again! 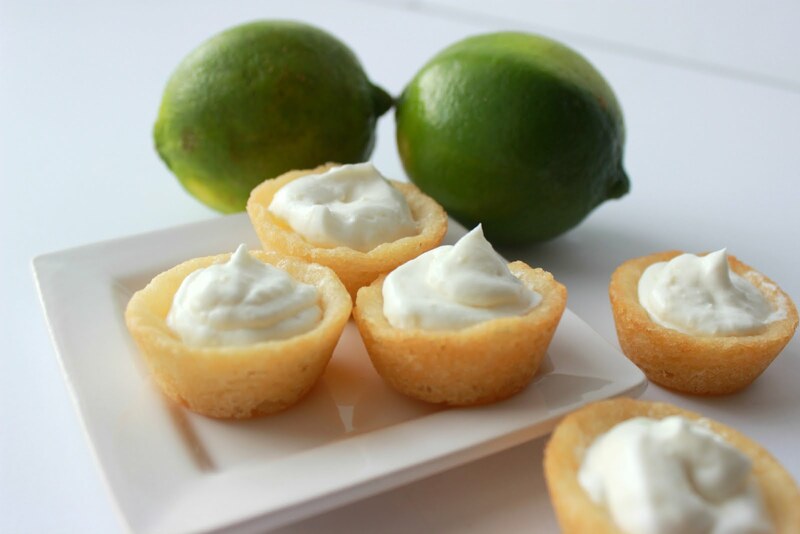 WOW, this looks amazing. I just use my hands, but this looks like a fabulous option!